Now that it’s officially the NFL offseason, things are a bit slow as far as news goes. Following mock drafts is one of the ways to pass the time, and mocks featuring all seven rounds are starting to come out. Bleacher Report draft analyst Matt Miller recently released his full seven round mock, and while the first pick isn’t one that Giants fans haven’t already heard about and discussed in detail, Miller’s projection for the team’s second round selection is intriguing. 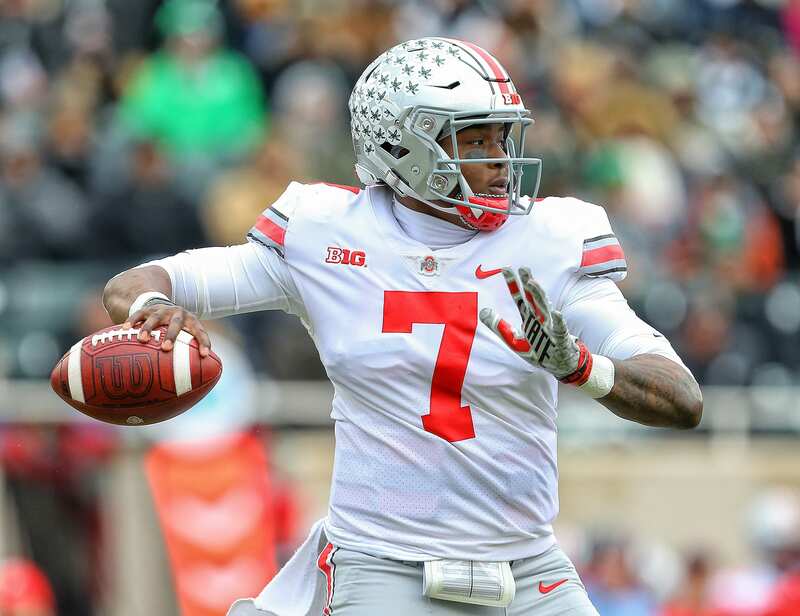 But starting from the beginning, Miller has Nick Bosa going number one overall and the Giants taking Dwayne Haskins Jr. at number six, which would make Haskins the first quarterback taken as well as the first offensive player. All of the other players that Miller picked to go inside the top six play on the defensive line or the outside linebacker position. The fact that Haskins was the player mocked to the team, though, isn’t surprising. Most mock drafts have had the Giants taking Haskins with their first pick. Despite some questions existing, it’s not hard to see why. There’s no other quarterbacks in this class who don’t have a significantly higher number of question marks, despite showing potential. Miller believes that the Giants will pick another offensive player in the second round. That player would be one to help their quarterback, whoever that ends up being, Ole Miss offensive tackle Greg Little. Little looks like a prospect that could help the Giants out immediately and is considered by Todd McShay to be the top offensive tackle out of this year’s draft class. With the focus on defensive line players rather than tackles, the Giants just might be able to snag Little later than what his value indicates. The second round pick could be a good addition if Little is available at that point, as it would provide competition at the right tackle spot for Chad Wheeler, who is only an average right tackle and has sometimes played below that level. And that, of course, would potentially contribute towards improving arguably the worst part of the team last year, the offensive line. I love all these mock drafts that mean nothing. In addition to speculating a position, then a specific player at that position there will undoubtedly be trades to turn the entire mock upside down. The Giants will not see Haskins fall in their lap. Teams will look to trade up to get in front of them. They should pick the best available player. Haskins is not worth the haul a team will get to trade down. This second year GM needs to also focus on free agency. My grade for him in the first year is a generous D-. That’s a bit dramatic. Gettleman has been drafting for years, not just for the Giants. He had a STELLAR draft last year, so I dont know where you’ve been. His free agent haul was quite poor.